Part of the Ring road east of Vík is wild and beautiful. It takes you across the vast deltas of dark glacial sand, around the toes of majestic mountains, glacier tongues and ice-filled lagoons. There is no towns. Except of few lonely farms, there is no human presence – only nature. Once you leave Vík, the landscape soon changes from dramatic cliffs and mountains to the black desert-like landscape of Mýrdalssandur sands. The vast sand flats were formed from material washed out from underneath Mýrdalsjökull ice cap during eruptions of Katla volcano. 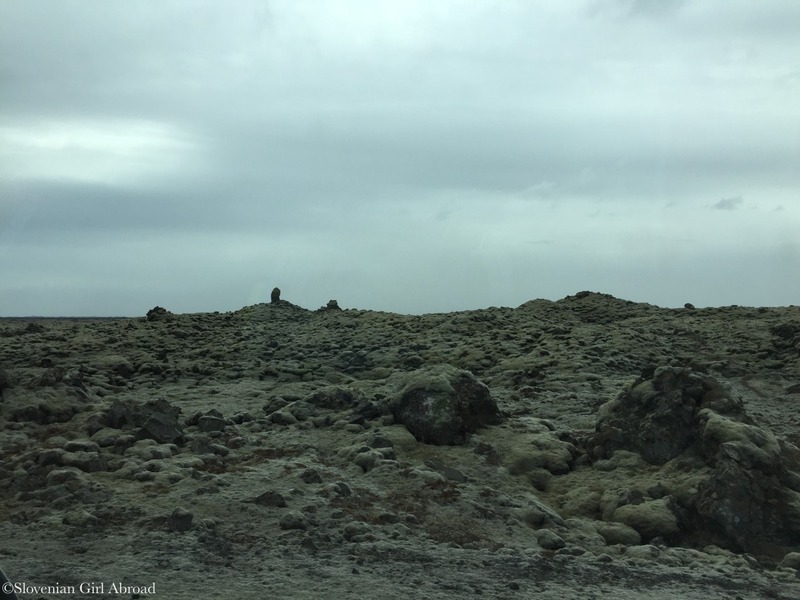 After we left the the black sands, we’ve soon entered Eldhraun lava field. This out-of-this-world landscape was created in one of the biggest eruptions in recorded world’s history. Covering the 565 km2 it is one of the largest lava fields in the world. The landscape here reminded me of some other planet. Leaving Eldhraun behind, we’ve travelled over Skeiðarársandur sands towards Skatafell national park. 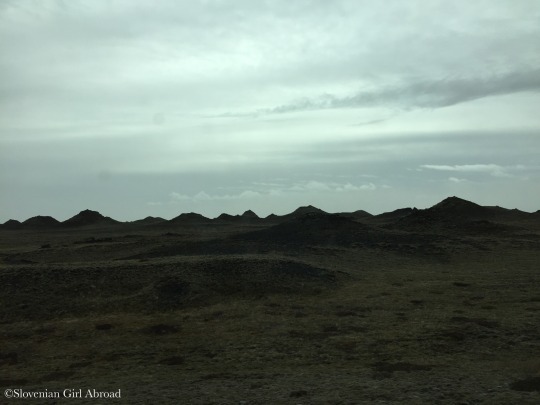 The landscape here is beautiful: sand-fields and the ocean on one side of the road and high peaks covered with glaciers on the other. 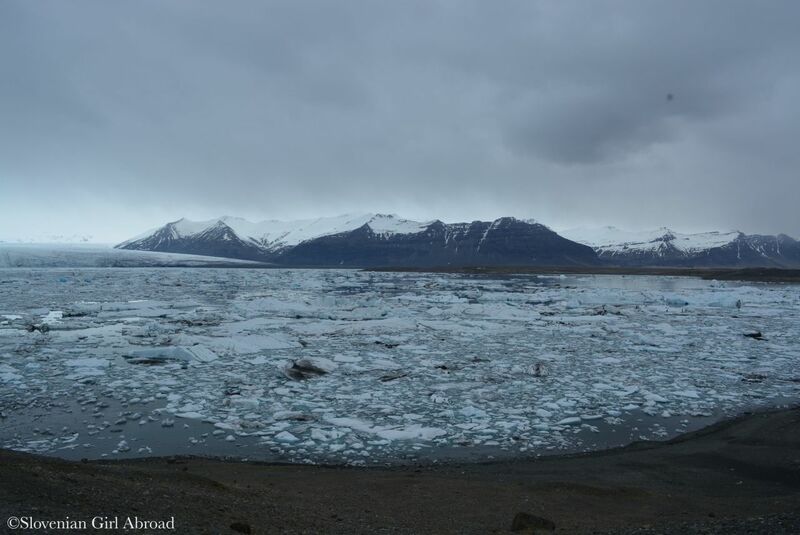 We passed the exit for Skaftafell national park and continued our drive towards Jökulsárlón glacier lagoon. 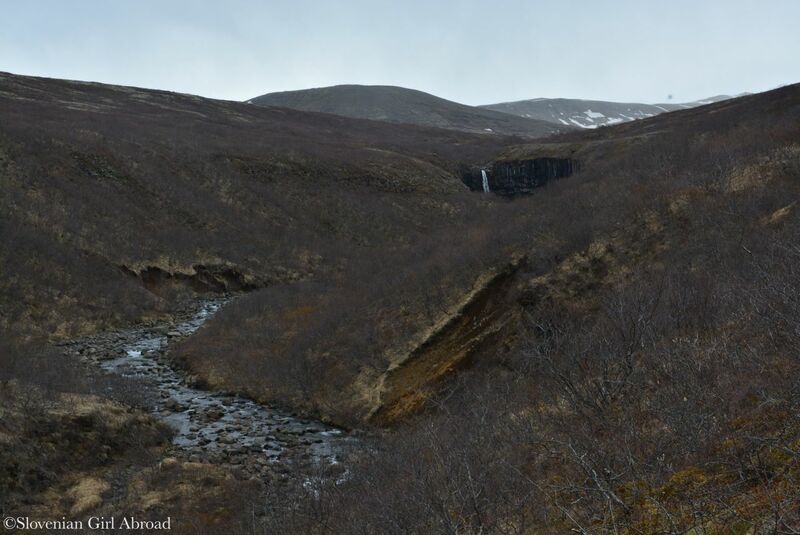 This marvel of nature lies in the south of Vatnajökull national park, right beside the Ring Road. As it can be seen from the road and its hard to miss. 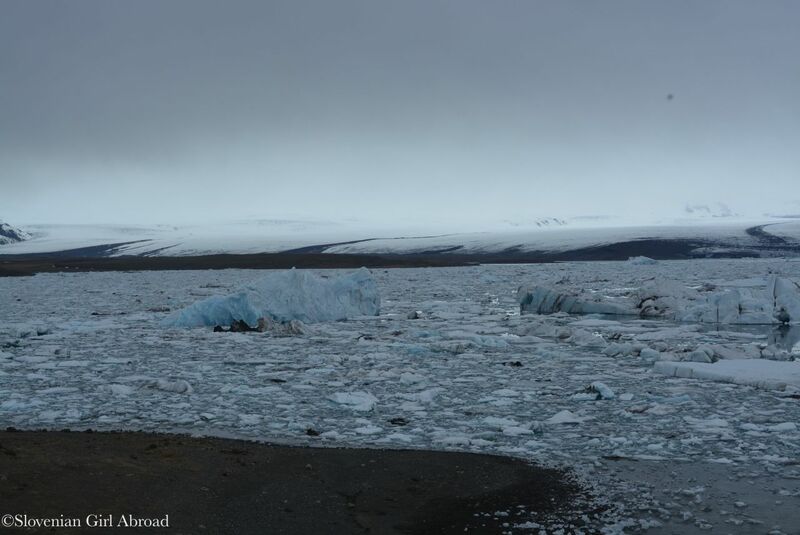 The area of nowadays glacier lagoon used to be covered in thick glacial ice until the 1930s when the Breiðamerkurjökull glacier started retreating. 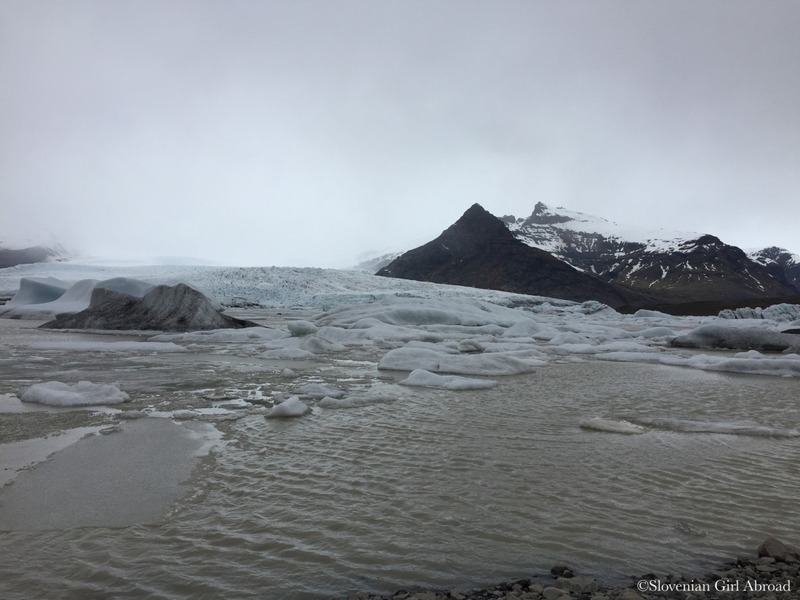 The glacier is rapidly retreating – the 500 m per year, and the lagoon is consequently growing. After we’ve reached the lagoon, we parked our car and went exploring. I was blown away by the beauty of this place. Massive ice bergs swimming in the large lagoon with massive glacier and the mountains in the background. Just wow. 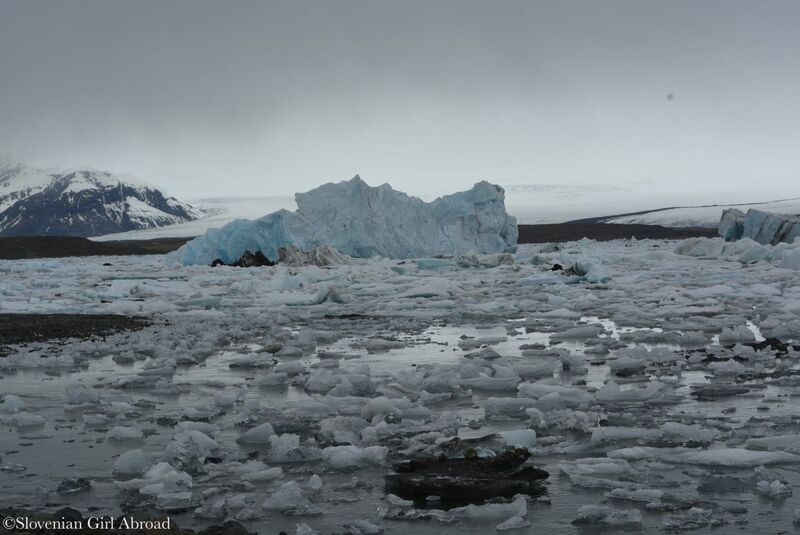 We’ve strolled around the lagoon, observed seals and admired the pieces of ice of all sizes floating in the water. 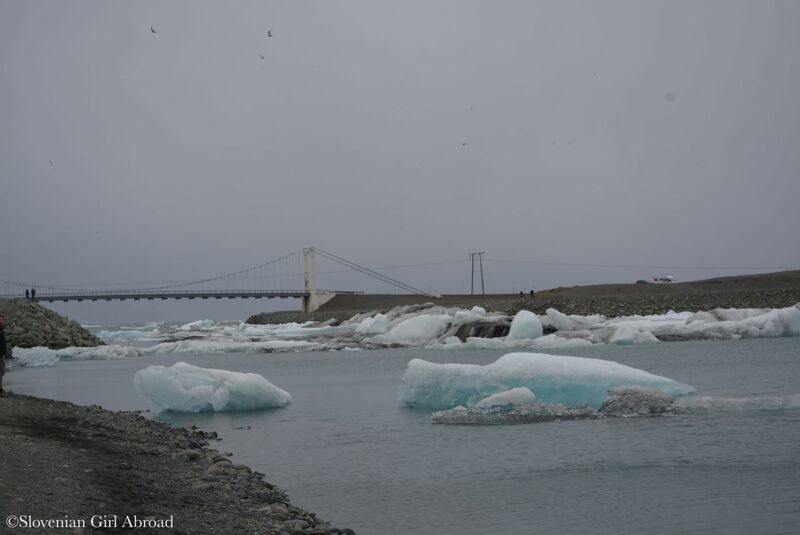 Apparently, the ice can float in the lagoon up to 5 years before it is washed out to the sea via the Jökulsá river. After, we drove to the ocean-side of the river. 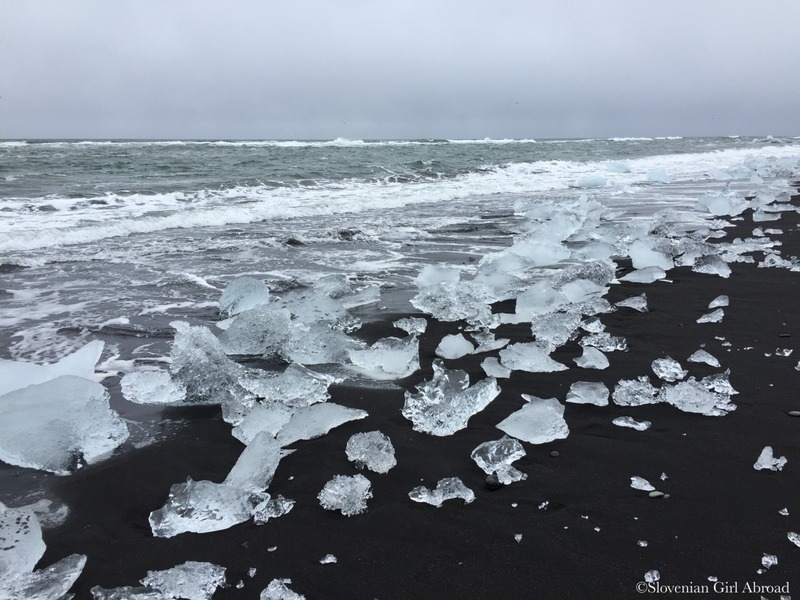 There we witnessed another surreal scene: pieces of ice washed away from the lagoon being washed out of the sea on the black sand-beach. Because of the ice-cold wind, we didn’t stay long at the beach. We’ve continued our trip exploring another glacier lagoon located just 10 kilometres west of Jökulsárlón: Fjallsárlón glacier lagoon. Despite this lagoon is not as famous as its bigger neighbour is in my opinion well worth the visit. Fjallsárlón glacier lagoon is located just off the Ring Road. It may not be seen from the road, but we followed the signs and got to the parking lot from where we walked to the lagoon. Despite is Fjallsárlón noticeable smaller than Jökulsárlón is no less beautiful. 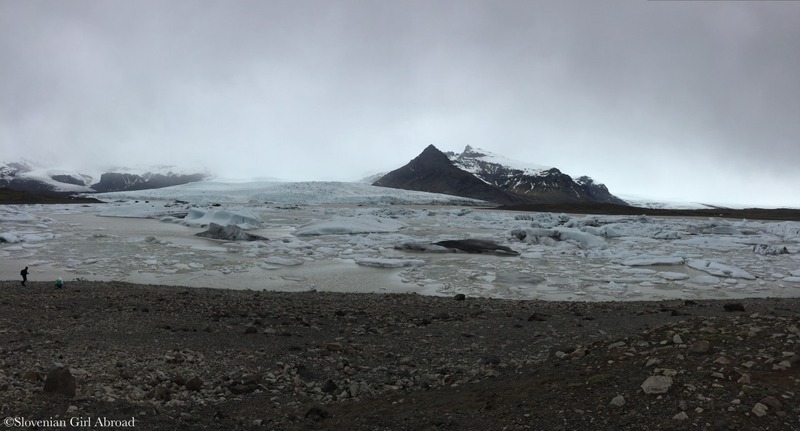 The glacier descending into the lagoon is much closer and offer some truly spectacular views. 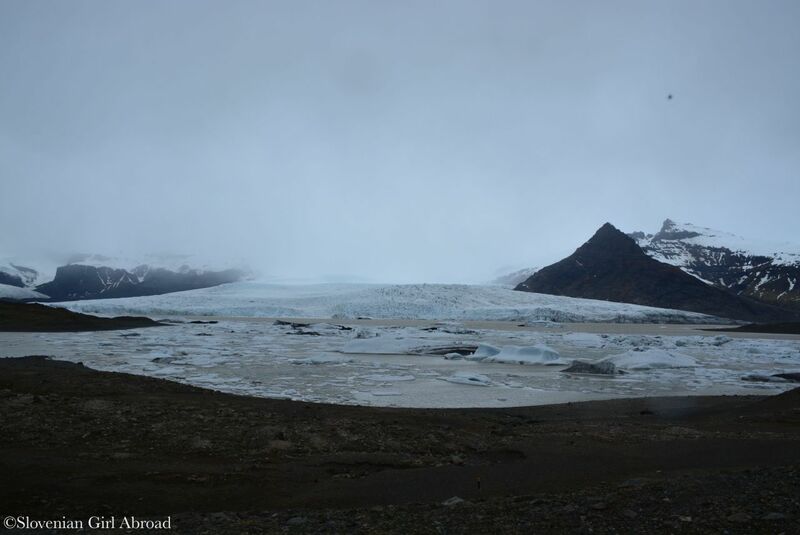 Unfortunately, the cold wind from the beach had followed us to Fjallsárlón and soon after it also started to rain. Because it wasn’t fun exploring the lagoon in such conditions we returned back to our car and hit the road hoping the weather will improve and allow us to explore other places we’ve planned to visit. We followed the Ring Road back in direction of Vík and stopped at Skaftafell Visitor Centre where we’ve warmed ourselves with the cup of hot cocoa. During our stop, it stopped raining, so we decided to see the Svartifoss waterfall, an waterfall that inspired the design of Hallgrimskirkja church in Reykjavik. 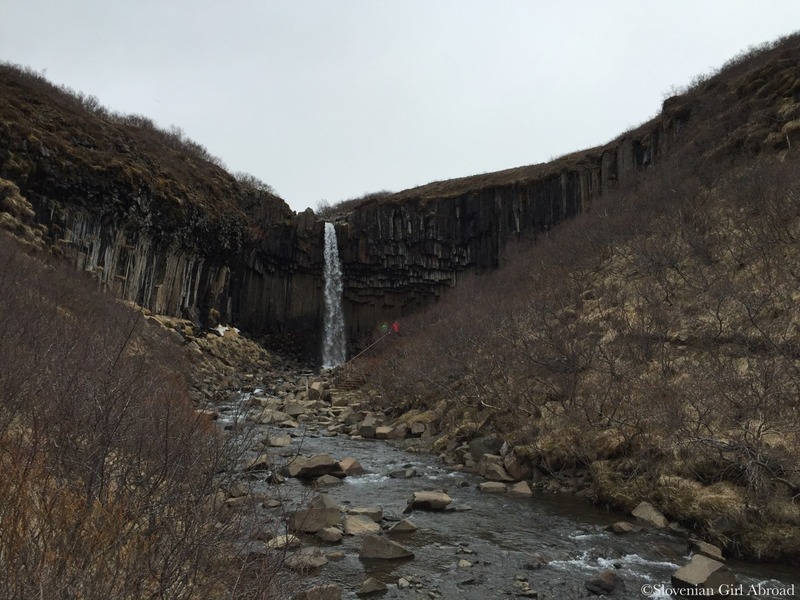 The trail to Svartifoss waterfall starts next to the Visitor Centre and is well indicated. We followed the trail past the creeks, ravines and some smaller waterfalls. After an easy 2 km uphill walk, we’ve reached the waterfall. As many times before during our Iceland adventure we were amazed. 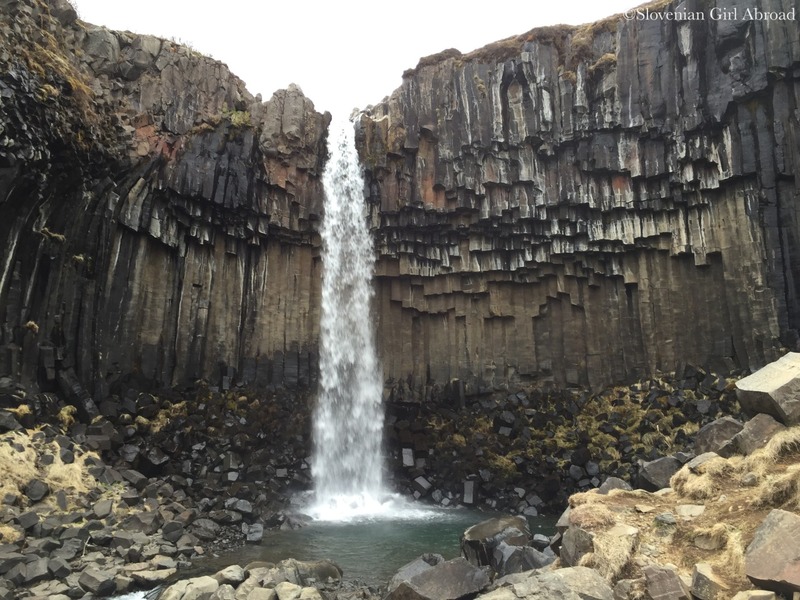 Despite Svartifoss wasn’t the most majestic waterfall I have ever seen, it is with its hanging hexagonal basalt columns beneath definitely one of the most unique ones. When we returned back to the Skatafell Visitor Centre was already late in the afternoon. There is plenty more things to do in the area, but it started to rain again, we were cold and tired and we had a long drive ahead of us, so we decided to wrap up the sightseeing for the day. We drove back to Vik where had delicious dinner and chilled at hotel’s hot tub for the rest of the evening. Love your photos – they capture the region perfectly! Vik and Jokulsarlon were two of my favorites. I would love to go back and do that region in more depth. We hiked a glacier while we were in Vik, by far our favorite experience. Looking forward to reading more about your trip! Wonderful and we will be here next year! Nice pictures. I didn’t get to go the glacier lagoons on my trip. Definitely will go there on my next trip. its a completely different landscape under cloud cover! Iceland must be like a dream coming true for every traveller! What a unique place! I love Iceland, all of these places are amazing! Gorgeous! Iceland is on my bucket list.